Man must not only live with dignity but also die with dignity. That may not be the law of nature, nor the intention of God. God is supposed to be kind and compassionate both to his believers and non-believers alike but what do we see? That was one of the reasons we had Mother Teresa in Kolkata, kind and compassionate, who assured a death with dignity to the destitute, sick and dying. As for helping man to live in dignity, that help should either come from the rulers or from the conscious effort of the individual himself. Which is why the saying, “self-help is the best help.” Man has a choice here. He may not care for dignity and instead choose a life of crime or beggary. That was his choice. Not so with death. Here he has no choice unless he commits suicide. The individual may become physically disabled and helpless to choose to die with dignity. And such a situation may arise in anybody’s life in the absence of sudden death as in heart attack, accident and fatal physical attack by lethal weapons. Imagine, young or old, confined to bed for years in a vegetative state under the care of the dear and the loving ones. It is a miserable life both to the sick and to the dear one looking after that person. To use the expression of Jean-Paul Sartre, the French philosopher of Existentialism, in such a situation both the sick and the dear one become both an oppressor and an oppressed. Let me explain. The sick is an oppressor of his dear one caring 24×7 because sick is the cause for the other’s misery. Caring for the sick years together is no ordinary task. As for the dear one, his or her prolonged years of care for the sick will surely have an element of oppression in the very act of care. The dear one may only feign love for this sick person while secretly praying for an early end. However, we cannot hold the sick guilty because illness comes to an individual unannounced, imperceptibly till after days or years when it manifests in a painful form or when it disables the sick (as in cancer, for example), pushing him to the care of the dear ones. Thus in real-life situation, we are pushed into the world of paradox facing a ‘to be or not to be’ question. A moral dilemma. The criminal law (IPC, CrPC etc.) did not help either the sick or the attendants. After all, serving the sick is service to God. The flip side of this ideal of service is that not serving the sick is a sin. This is the Christian religious injunction and the British rulers respected that belief so much so they incorporated it in the law. This was the catch for all those who are living in sick-bed with artificial life support. The instances are many in our country. In some countries of Europe, however, in this age of reason, euthanasia was allowed legally — causing gentle and easy death in case of incurable and painful disease. I am so happy India’s legal system is gradually moving towards the age of reason from the age of moribund customs and superstitious beliefs — including the ill-conceived sense of right and wrong, good and bad. The Supreme Court of India has finally put its stamp on the long-pending demand by the wise amongst Indians for permitting passive euthanasia. I was happy to read the headlines in the newspapers of this piece of news — Supreme Court approves passive euthanasia, upholds right to die with dignity. The Supreme Court, in its wisdom, has also told us how to go about exercising this choice of euthanasia. It has permitted the sick, while fully aware of the nature of development of their sickness in the future, to create what it calls a Living Will that will allow an individual to decide against artificial support. The historic and most humane decision came on Friday, the 9th March 2018 from the Supreme Court. 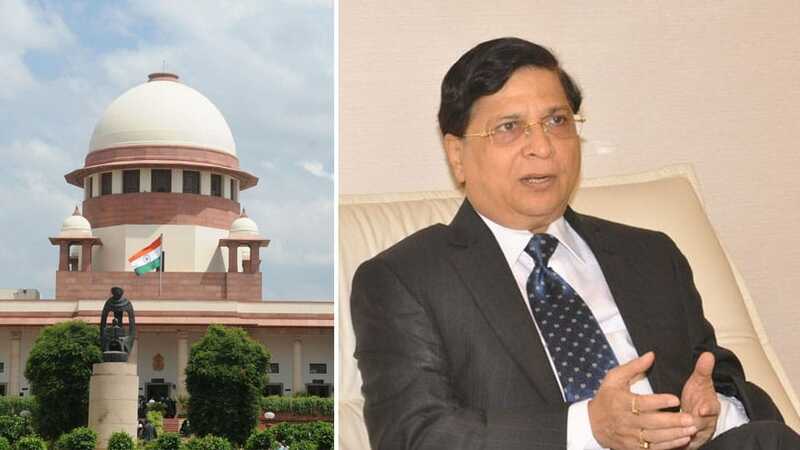 The judgement has special significance because it was delivered by a five-Judge Constitutional Bench headed by the Chief Justice of India (CJI) Justice Dipak Misra. This Living Will, also known as Advance Medical Directive, upholds a person’s right to choose passive euthanasia in the eventuality of a terminal illness with no hope of recovery, an irreversible or permanent vegetative state. Removal of the life-support system does the job. The Court has, however, in its wisdom not allowed what is known as Active Euthanasia which means killing a person (patient) through the use of lethal injection. Interestingly, the opposition to euthanasia came from the government. Reason: The patients may not be aware of medical advancements that could cure them. A frivolous argument. If there is such a cure available, doctors would certainly not proceed with Euthanasia. How can they? Briefly, Living Will is different from the commonly known ‘Last Will and Testament’ which merely distributes property after one dies. A Living Will determines about your medical care during your lifetime when you are able to speak or write for yourself. This Living Will is used only in situation where you are incapacitated, mentally incompetent or unable to communicate. The Living Will might designate an agent to make care decisions, dictate what kind of life-support treatment the patient needs, discuss pain-management, personal grooming and bathing instructions, the religious and spiritual concerns of the patient and may even mention the funeral or memorial plans! Therefore, all things considered, I guess it is wise to execute a Living Will. Ask your doctor or your lawyer.